It’s so easy with the internet to appear to be all that you are not. I’ve interacted with people on the net and when I met them in real life their stories didn’t add up. Just yesterday I went on what turned out to be a wild-goose chase. My brother came across someone who advertised some furniture on the internet and asked me check it out. The guy who had a great looking website and was an absolute smooth talker on the telephone turned out to be an absolute hoax. He had nothing he had advertised, kept talking a non-existent warehouse and giving excuses that didn’t add up. With the internet I’ve learned the hard way – everything is not always how it seems. In the personal development sphere, I used to aim to blog in, I’ve seen that it’s so easy for people to give you ’10 ways to great relationships’ and ‘50 ways to leave your lover‘ (okay, so that was the Paul Simon song!). But are these people really living these truths out in their lives? I’m sorry to say that I haven’t always seen evidence of that. We know of politicians, religious leaders and self-styled gurus, business leaders who have often failed to live up to all that they claim to be. We put them on a pedestals and which many of them promptly fell off. We begin to doubt the authenticity of all politicians, religious leaders, and business men. Just think of all the skeletons that have come tumbling out of the Apple cupboard in the recent past. This is not meant to find fault with anyone. I know that in the past, I have created an image of myself that I portrayed to others and struggled to live up to it. When I didn’t, they, naturally, felt cheated and I was humbled. So we’ve got to go beyond words. We’ve got to dig deeper. We’ve got to see evidence of people being true to their words. Only then can we believe. Only then do we want to look up to them. Only then do we want to follow. Today I join millions of others in recalling that One Man who walked the talk. He was and is above all. He spoke of loving the other. He spoke of loving God. He spoke of serving others. He spoke of forgiveness. He said that God loves us, then He stretched out His hands on the Cross and showed us just how much. Thank you for reading my reflection this Good Friday. This was powerful Corinne! Yes, the Internet can hide many a flaw, but truth always comes out. Jesus is the epitome of truth that we all need to follow! Thank you, Tameka. Yes the Truth shall prevail. What a wonderful post Corinne….and He truly said what he meant and meant what He said! He did indeed, Mary. Thank you. Thank you for stopping by, NANHM. This is by no means directed at people who use pseudonyms to blog. I completely understand that completely and I’ve often considered starting an anonymous blog myself so I can be completely honest and not hurt anyone’s feelings. However, there are those who pretend to be so much more than they really are and give the impression that they’ve got it all together. It’s so easy to do that, I know from experience! So please don’t question yourself, I get you completely. Have a blessed Easter. So wonderful! Christ’s teachings were one of the best blessings this planet has ever received. Thank you so much for stopping by. If we all followed them – the world would be a much better place! That’s the magic of internet though I suppose. Back when the internet was a newborn, people were taught to use fictitious names. Don’t tell anyone who you are. God forbid they will hunt you down and kill you and your family. Gotta love scare tactics. Today, many but, not all have decided that with proper precaution they can be who they are without too much worry about being hunted down Craiglist Killer style. Unfortunately, there are many that still believe that a facade is better and some who believe they are untouchable and divulge every detail right down to where they sleep at night. I am a writer so words are what I have, they are what I am. I have seen people I know personally offline tell these amazing stories on social networks and I wonder… why on Earth did you add me as a friend when I know that what you are portraying is a lie? I try my best to always live up to my words. I believe in word being your bond. I don’t always live up to my word if outside forces interfere; i.e my husband, lack of car, etc… I pride myself in being open and honest, and as some of my friends have stated I can sometimes be too honest. But, if you ask me where I live and you are not my direct family member, I will lie and tell you streets on the other side of the city. After all I am a mother with children and my first job on this planet is to protect them from any kind of harm. If only more people would take the “teachings of Christ” to heart, body, mind, and soul and just be good people and do as they claim they believe in. I understand the need to protect oneself and to possibly protect one’s family from getting hurt, Jenni. It would be silly of us to reveal everything about ourselves. But I, like you, think that we can be authentic and live our words – or else our words will be empty shells – finally, people can see through the facade. Oh, Corinne, I am guilty of that, too. I thought I should portray an image that people will admire and look up to. Doing my best to always appear good in other people’s eyes. But really, I think that’s impossible. And when I finally learned to just be true to myself and other people, they were all shocked. They said it doesn’t seem like me. But that’s the real me. Unlike Jesus. He didn’t have to pretend for people to like Him. He spoke the truth even if He knew He will be condemned to death. And that’s really amazing. Irene the real you is beautiful – stay you! It takes courage to be ourselves, but when we do, it’s hard to go back to pretending, isn’t it? One of my favorite quotes is “We teach best what we most need to learn,” by Richard Bach. So true. Great quote, Jimi Ann and one that I would certainly like to apply to my life. Thanks for sharing. Absolutely tremendous post from Everyday Gyaan. Corinne you only write excellent posts, but this is without a doubt the finest. Bless you dear girlfriend, you enriched others lives so much and I am honoured to know you! Thank you, thank you thank you so much, for this post. It helps me through today. As for the Internet and the fake people. I was grieving for a friend who “committed suicide” and found out yesterday it was all untrue. That is just awful. Wonderful reflections. You can write poetry too. Thank you, Janaki. They’re the lyrics of song I shared. This adds up to my reflection today. The truth is I admire people like you who’ve come up ways to inspire people not just every week but everyday. It’s a discipline that’s pretty hard to take and it’s a cross that needs carrying not just on Holy Week. Then again, I’d like to see a person in crisis (not that I pray that), because it is then that I could measure a person’s faith. We kissed the cross of Christ this afternoon…I believe in His love. He is, as you said, above all! Thank you dearest Melissa. Your reflection has touched me very deeply too and the question : Who do we live for and who do we die for? will ring in my years for some time now. When I was writing this, you were very much on my mind. Perhaps what your Mom says is true – only when we live with someone do we really know them. However, you and I will continue to make new friends and take people at face value until they prove otherwise – because that’s the way we’re made. We’ll might get hurt, but we’ll also make some deep and last relationships only because we risk. And then we always have the One Person we can lean on – above all! Magnificent reflection for this holy day, Corinne. The Lord is exactly who He said He was . . .
“Above All” is one of my favorite songs and perfect for today, my friend. So glad you liked it, Martha. Aren’t we blessed to know this truth? And same goes with friendships too. So true, Punam. Such a fine line to walk between being cynical and careful. Corinne, when I read the title, I started singing the song and when I came to the end of the post, I found the song I was humming. One of my favourite songs, Corinne. I could relate to this post. When I look within me, I find that sometimes I’m not all that I think I am. 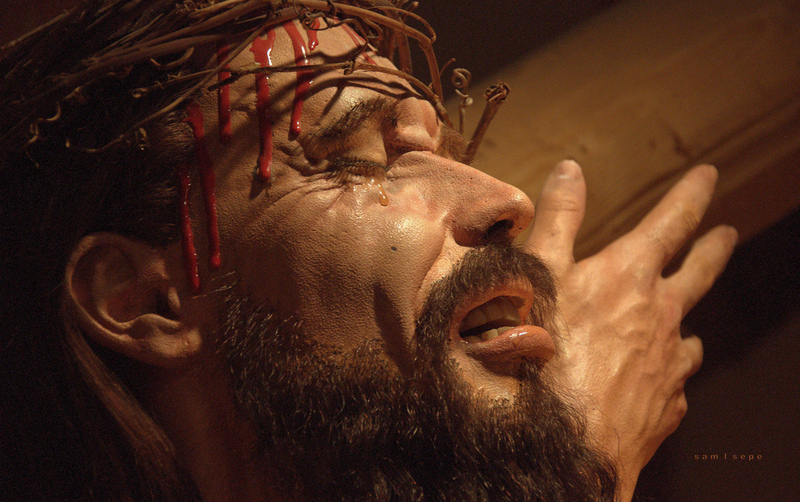 And, in spite of all that the man who died that day showed his love for me by giving his life. His life is the example . . . the way. Hope the good Friday is going great for you, Corinne. Oh I do love this one, Susan and the other is Amazing Love. I’m sure you’ve heard that too. Yes, we constantly fall short, but aren’t we so blessed to have a good Leader? May your Good Friday be meaningful, Susan. Before we can be true or comfortable with the outside world we have to look within… are we true or honest within our self? We beings hide our reality for fear of judgment and to deceive as in the case of the furniture guy..
Hopefully one day we will wake up to reality and see that it is not worth hiding or deceiving. Hopefully we will, Savira . Thanks. Beautiful Corinne!! Very true stuff too. Thank you, RoseAnn. Yes, I believe it to be true.